A Guide To IT Support Prices for Business users. Cheap Is Expensive. CHEAP IT SUPPORT IS VERY RARELY THE BEST OPTION. FIND OUT WHY. DO YOU THINK THAT YOU’RE PAYING TOO MUCH FOR IT SUPPORT? As with most things in life, you get what you pay for and IT support is no different. Be highly suspicious of IT support quotes that significantly undercut others. Look for hidden costs and ALWAYS ask to speak with multiple references. “Cheap can be expensive. If the service sounds too good to be true then it probably is”. IT support prices vary from one provider to another. Most providers (including Our IT Department) offer IT support in two separate packages which are typically pay-as-you-go (ad-hoc), or fully managed services for a fixed monthly fee. Lets take a look at these options in detail. PAY-AS-YOU-GO (OR AD-HOC) IT SUPPORT SERVICES. Pay-as-you-go IT support services are typically suited to small businesses and start-ups that are looking for a professional IT service, but are not heavy technology users and/or are working within budgetary constraints. HOW MUCH DOES PAY-AS-YOU-GO IT SUPPORT COST? Again like ourselves, many IT support companies charge a small monthly retainer which covers the initial client take-on process, ongoing scheduled maintenance and network monitoring should this be required. Ad-hoc support services typically mirror a fully managed service, but this is all dependent upon the provider. Telephone & remote support and reactive onsite support should be included as standard. Reputable service providers will include scheduled network maintenance (service pack updates, service updates etc. ), remote network monitoring, firewall management and anti-virus updates. You can also be allowed to use your hours to purchase IT consultancy for strategic guidance and exert advice. BE WARNED, CHEAP CAN SOMETIMES BE EXPENSIVE. If IT is essential to your business then a pay-as-you-go service should be avoided because it simply isn’t cost-effective. If you require day-to-day support then purchasing tickets or paying for reactive support by the hour will get VERY expensive VERY quickly. Many of our existing clients that rely heavily on their IT have made a transition to a fully managed service from Ad-hoc support because it makes financial sense. WHAT ABOUT USING AN INDEPENDENT IT TECHNICIAN? Picking up the phone to an independent IT specialist for reactive support is an option, but the main problem with using this type of service is availability. Good independent IT technicians will always be in demand and sometimes you will have to wait up to a week before they have a space for you in their calendar! This can be very frustrating and ultimately damaging if you have a business critical IT problem. Fully managed IT support service prices are usually based on the number of servers, computers and mobile devices to maintain. Some companies also charge by ‘user’. This can be a grey area so make sure that you check what you are being charged for before signing a support contract. In terms of support, a typical fully managed IT service will include telephone and remote support during business hours, in addition to reactive and scheduled onsite field technician support. We believe that a fully managed service should be exactly that! If you are paying for a fully managed service then support should be unlimited, unrestricted (within reason!) and there should be no limit to the amount of calls you can make and what hardware/3rd party software is supported. Obviously, if you are using bespoke applications then support needs to be provided by a third party, but even then, your IT Company should provide guidance. The above describes our own fully managed service called ‘IT Unlimited™’, but not all companies offer such a transparent service. 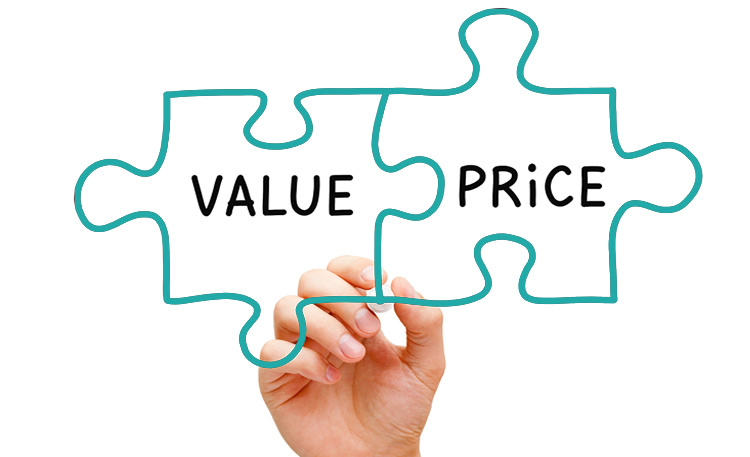 You may find that some of our competitors provide a tiered IT support price guide that is typically presented in Gold, Silver and Bronze support pricing options, with gold being the premium service (although some are finally starting to use their imagination!). MAKE SURE THAT YOU FIND OUT WHATS EXCLUDED. Tired price plans can get complicated because some features are included in one plan but not the other. For example, all three support options may include telephone and remote support, but onsite support is only included in the more expensive gold support service option. More importantly, the Service Level Agreement (SLA) can differ depending on the service that you sign up for. 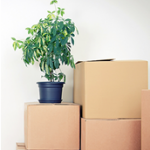 This can have a massive impact on response time and the support levels you receive. Every IT support company should have a transparent SLA that documents their service levels in detail. Don’t be afraid to ask for a copy! Our advice is to keep things simple and only choose an IT services provides that offers a fully transparent service, like ours! Again, all of the above is included with our unlimited IT service for a set price. However, if you are speaking to their organisations then be sure to check that none of the above is excluded, or there are no additional charges for hardware such as mobile devices and tablets for example. 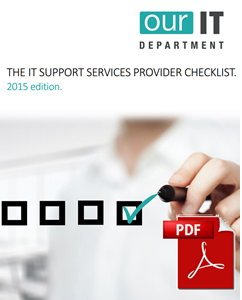 THE IT SUPPORT SERVICES CHECKLIST. The IT support service checklist. This useful checklist has been designed to help small business owners choose the best IT services provider for their business requirements. Click below to download the checklist PDF today, no registration required, just click and download! HOW MUCH SHOULD I PAY FOR IT SUPPORT FOR MY BUSINESS? Unfortunately we do not advertise our IT support prices online. However, if you would like to find out how much it would cost for either Ad-hoc or fully managed support then please complete the form below. A member of the business development team will then contact you to discuss your pricing in further detail. FIND OUT THE COST OF IT SUPPORT SERVICES FOR YOUR BUSINESS TODAY.